Bon-Ton Stores' senior creditors "are pushing" the discount department store chain to file for bankruptcy, according to a Friday report from Bloomberg that cited unnamed sources. The Wall Street Journal also reported Friday that the retailer was negotiating with debt holders ahead of "an imminent bankruptcy filing." Bon-Ton did not immediately respond to Retail Dive's request for comment. A filing could come in January, though the retailer "hasn't made a decision and is still trying to avoid a court filing," sources told Bloomberg. 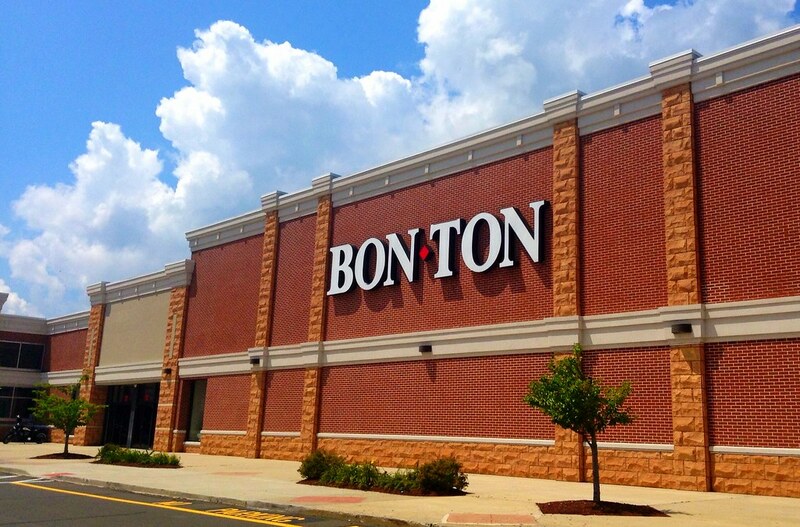 Bloomberg wrote Friday that "it's not clear whether [Bon-Ton] would seek to liquidate or to reorganize." One option would be to combine some parts of Bon-Ton with another business, a move that would entail a bankruptcy at some point, the news service reported. Last month the retailer missed a $14 million interest payment due on Dec. 15, starting a 30-day grace period that ends next week. News and analysis service Debtwire reported on Dec. 20 that a group of Bon-Ton bondholders had engaged a financial adviser and legal counsel and were "set to ride out" the grace period, according to a story emailed to Retail Dive. The hires showed that the bondholders were pondering what a reorganization or debt restructuring would look like and were negotiating with Bon-Ton on details, according to Philip Emma, a retail analyst with Debtwire. "It should come as no surprise if the company filed for bankruptcy" given the news of the adviser hires, Emma said in an interview. From a "practical perspective," Bon-Ton's grace period on the missed interest payment ends 11:59 p.m. on Monday, Emma added. This year's holiday season was critical for Bon-Ton as it struggled to shore up its finances and missed a multimillion dollar interest payment. But the retailer came up woefully short. Bon-Ton this week said its comparable store sales fell by 2.9% during the holiday period. Total sales also dropped, to $752.1 million, down more than 4% from the year-ago period. At the same time, other department store retailers — including Kohl's, J.C. Penney and Macy's — reported much-needed sales increases for November and December. Bon-Ton President and CEO Bill Tracy, who joined in August after an earlier executive shakeup, offered no explanation for the declines but noted in a statement that they were an improvement over the 6.6% drop in comps in Q3. Importantly, Tracy also said in his Jan. 9 statement that his company was "actively engaged in discussions with our debt holders in an effort to strengthen our capital structure to support the business going forward." With the end of Bon-Ton's grace period ending Monday, something has to happen. Either the retailer will pay, work out a debt restructuring deal (such as a debt-for-equity exchange) with its bondholders, or file for bankruptcy. Bon-Ton has been trying to downsize amid falling sales. It said in November that it would close 40 stores in 2018. But it's financial problems run deep. Morgan Stanley analysts, led by Kimberly Greenberger, wrote in a Dec. 21 note that the retailer's deteriorating cash flow combined with its high debt levels have "led investors to question Bon-Ton's long term viability." According to Morgan Stanley's analysis of Bon-Ton locations, TJX Cos., Kohl's, J.C. Penney, Walmart and Sears (which has plenty of financial problems of its own and is rapidly shrinking its own store fleet) have the greatest geographic overlap with Bon-Ton stores and stood to benefit from any closures. Concerns and rumors about Bon-Ton's financial health have been hanging over the retailer for months. Earlier this year, though, some Bon-Ton suppliers reportedly pressed for tighter terms on shipments. Such supplier troubles echo the lead-up to Toys R Us' Chapter 11 filing, as well as that of many retail bankruptcies, including Gymboree, Charming Charlie and others. Bon-Ton has $572 million in debt due next December and carries $850 million altogether, according to Moody's. The retailer's debt has been rated at distressed levels for some time now, and S&P has listed the company as one of the retailers most at risk of bankruptcy. In a Nov. 17 report, analysts with Fitch Ratings, after leaving Bon-Ton off an expanded "loans of concern" list in October, wrote, "While the company has enough liquidity to support 2017 holiday working capital needs, there is risk of a debt restructuring over the next 12 months." In September, media reported that the retailer hired AlixPartners for help with its turnaround efforts and was also looking for a financial adviser to help with a possible debt restructuring. The month of May saw an executive shakeup at the retailer, in which Bon-Ton announced that COO William Tracy would replace previous CEO Kathryn Bufano. Adding to the turnover, Bon-Ton's chief financial officer recently left for Pier 1. Replacing Nancy Walsh in the CFO slot will be Michael Culhane, who has served in executive roles at several retailers, including as CFO of Hudson's Bay Co., as well as positions at Lord & Taylor and May Department Store Group. Bon-Ton's top-line sales have been falling since 2007, and the retailer hasn't posted a positive profit since 2010, according to regulatory filings. Comparable sales for Bon-Ton have been negative for more than two years. Debtwire's Emma said that the retailer has had financial problems for years, "And every year they borrow more money that has been dragged into the next year."